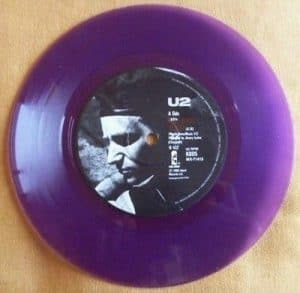 The 7” vinyl record of “All I Want is You” by U2 in purple is one of the most collectible items of the band whose value reaches thousands of dollars. “All I want is you” in purple 7″ Vinyl was printed and distributed via an Australian radio station to the listeners after a radio contest. The printed copies were 105 and were produced by the Australian label “Festival Records”. 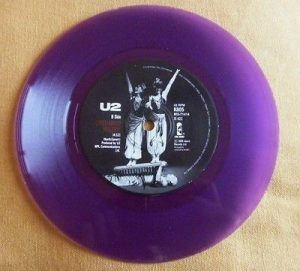 According to Discogs, U2 did not approve of “all I want is you” on purple 7” vinyl record and asked for the records to be withdrawn. It is said that only about 30 copies have been handed over and the rest have been destroyed. All I Want is You was released in 1989 and was the last single from the album Rattle and Hum. 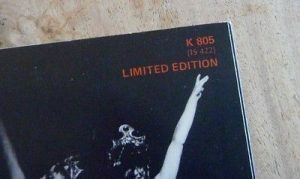 This particular version has been sold for up to €2720 and is considered one of the most expensive vinyl records of U2. – Vinylom Marketplace – Millions of items available for sale and trade from sellers all over the world.BUY-SELL-TRADE !!! 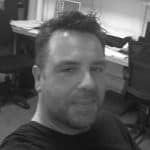 – Vinylom Forum – Discuss about Vinyl Records, Music and more with Music and Vinyl Lovers from all over the world.